A comprehensive guide to civic participation and the best opportunities for volunteering. We are proud residents of the land of the free and the home of the brave, but how often do we actually get involved and do anything to make a difference? The lifeblood of democracy is volunteering, and Make a Difference teaches readers how to get in the game and help! Volunteers are needed in record numbers. People are in trouble, and they are turning to volunteer organizations in their communities and faiths for help. Millions of Americansmiddle class, working class, professionals, and business executiveshave experienced the loss of a job, a home, or a business, small farm failure, a personal bankruptcy, or a loss of pension or retirement income. And millions more are only a layoff, illness, divorce, or accident away from falling into poverty. But YOU can help! Make a Difference is a comprehensive collection of more than two hundred community service opportunities and experiences. More than a simple resource guide, this unique handbook includes interviews, anecdotes, and commentary from the top people in nonprofit and service fields. The book ties together the strands of volunteering, community service, and civic engagement. 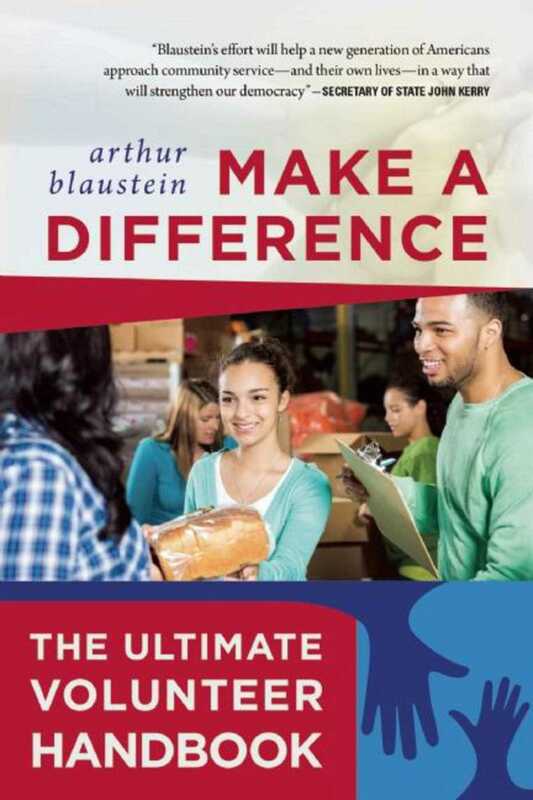 Blaustein focuses on two critical questions: How did we get into this mess?” and What can be done to turn things around?” His answer to these interconnected questions is volunteering, community service, civic engagement, and citizen participation. They are good for you, vital to those being served, and healthy for your community and our country. Here’s what YOU can do to help!